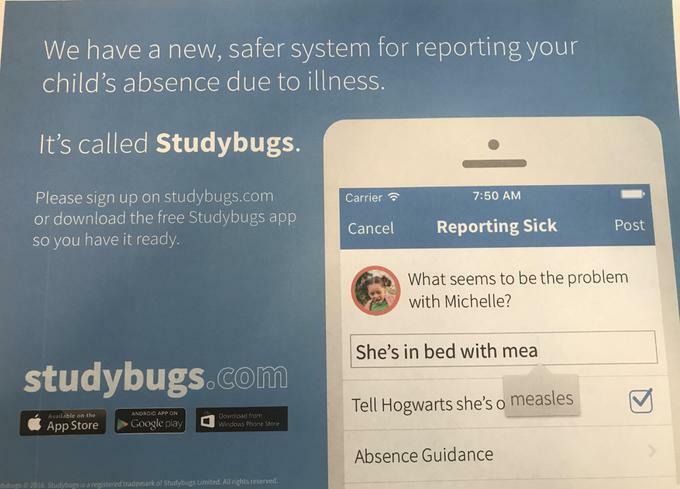 Studybugs- The new app to report your child's absence if they are off school due to sicknees/illness. Don't forget we are now using the Studybugs app if you wish to report your child's absence from school. Just download the app and away you go. Any problems just pop in and see Miss May and she will be happy to help.